Food and events go hand in hand. Whether it’s a wedding, an engagement party or a corporate event, feeding your guests is crucial to a well put together shindig! This is especially true if there’s alcohol being served— because no one want’s wasted Walter or silly Susan at their party! But the way in which these events are catered has evolved. Many people are choosing grazing platters as an alternative to sit down meals. The idea behind it is genius really, because who wants to walk around with a big ol bloated belly after eating a full sized meal? Grazing platters give guests the flexibility to pick and choose what and when they want to eat and is a throwback to the Medieval times of banquet feasts. Not to mention they look beautiful and super appetizing. The perfect way to give an air of elegance to your important day. So, we’ve rounded up the best grazing platters in Auckland. These are businesses who nail the grazing craze with their exquisitely put together platters. So get amongst this latest trend and make your next event a little bit extra! Good To Graze is the new kid of the block. Opening just six months ago, this locally owned business is shining bright! It specialises in stunning spreads and cheese and cracker centre pieces. These scrumptious platters can be customised to suit any theme or dietary requirement. They use seasonal and local produce, award-winning Whitestone cheese sent up from Oamaru, breads created by a local artisan bakery and fruit and veggies sourced from local farmer’s markets. It’s all about local business supporting local businesses. We like that! And, did we mention they do delicious sweet platters too? Think a giant spread of chocolaty, marshmellowy s’mores! It's the perfect touch for that engagement party or baby shower! This little company is doing amazing things! 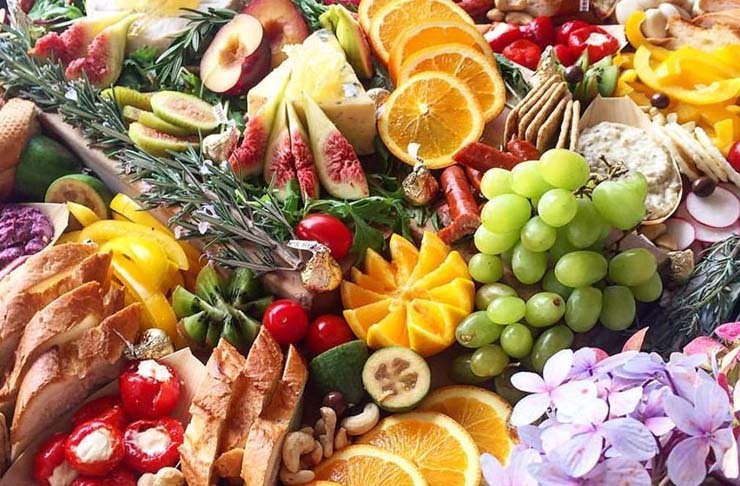 Run by two young, extremely talented best friends, Together Bespoke Wholefood Catering creates some of the best grazing platters in Auckland! Going from strength to strength—they’ve just opened up their first shop in Rothesay Bay on the North Shore and it’s been an absolute hit. Bespoke pride themselves by doing everything by hand. They hand roll their own GF seed crackers, make all of their own chutneys and dips and everything they make is refined sugar free! Using seasonal and local fresh produce, artisan sourdough breads and locally sourced honey, they are all about the nutritious and delicious! And, with all of their platters sitting on recycled timber boards, it all about the carefully thought out details that make this local business a winner. This Auckland based company is run by one extremely talented woman. Derived from a passion for food, this Piha native only started her business in December and it’s been thriving ever since! 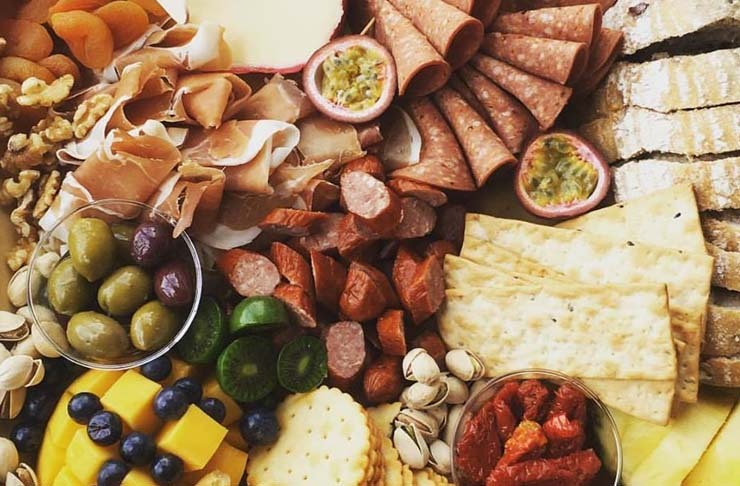 Sarah Jones— the mastermind behind The Platter Collective, started out by throwing together platters for family and friends, all of whom encouraged her to take it further and start the popular business she owns today. These Auckland grazing platters come in various sizes to suit any occasion. 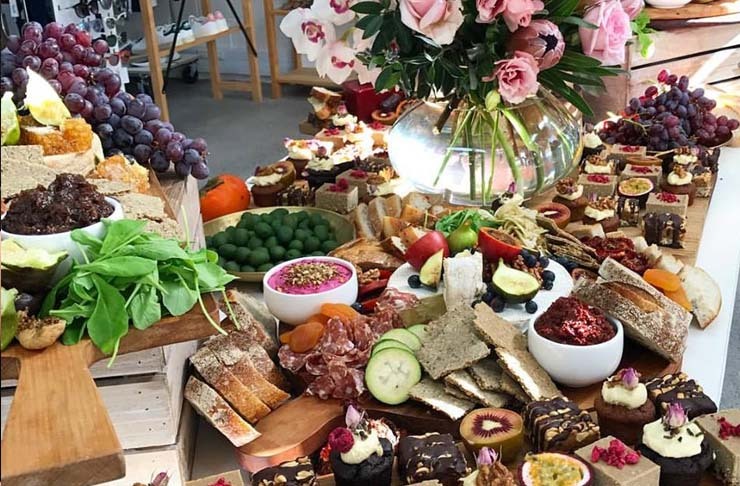 From a simple picnic for two to a bountiful spread to feed 150 people, her platters can grow up to three metre squared. Wowsie! These guys are alllll about the cheese! The Little Caravan proclaims itself “the most instagrammable venue of the year. It specialises in rustic cheese platters to suit any occasion. 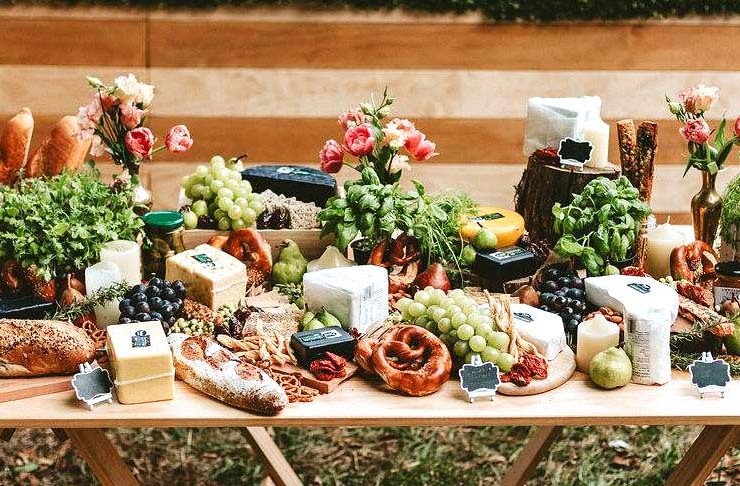 These cheese tables are laden with only the best New Zealand cheese, artisanal breads, crackers and pretzels, dried and glazed fruit, seasonal fresh fruits, a selection of nuts and all the yummiest condiments you can wrap your mouth around. The perfect little touch to your event because who doesn’t love a good cheese board!? Happy eyes and happy bellies is Platter and Graze's motto! Run by two talented friends from Auckland, it’s all about the art of putting together beautiful, fuss-free spreads that suit any style and occasion. Their spreads are all about what looks good to the eye and they offer many different themes, from a Luxe Moroccan Picnic to a Luscious graze, complete with a grazing table, two desert platters, décor, rugs, cushions and makeshift pallet tables. These ladies go above and beyond just creating perfect grazing tables—these Auckland grazing platters are more like a work of art. And, they make sure the whole experience is fabulous.